Press. Turn. Dab. Clean with ease. Dab in 6 seconds, cools in moments. 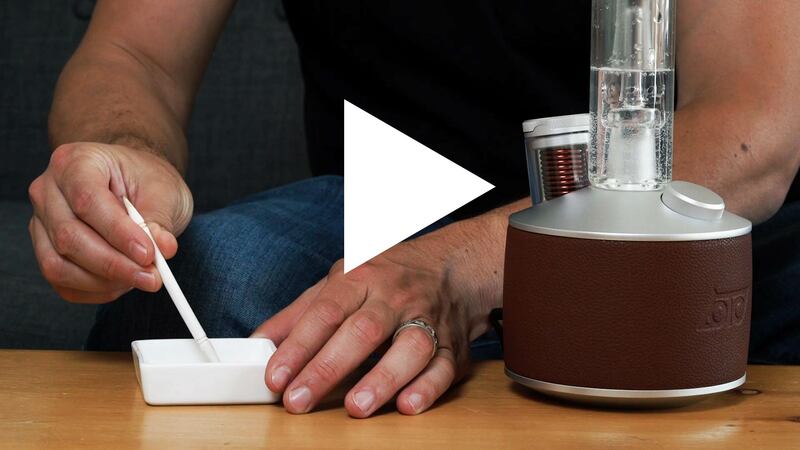 With no exposed heating element, Loto Labs' patented magnetic induction core is the safest way to dab. Powerful rapid heating happens internally, for a clean, revolutionary experience. Start vaping in seconds and waste no time with messy clean up. 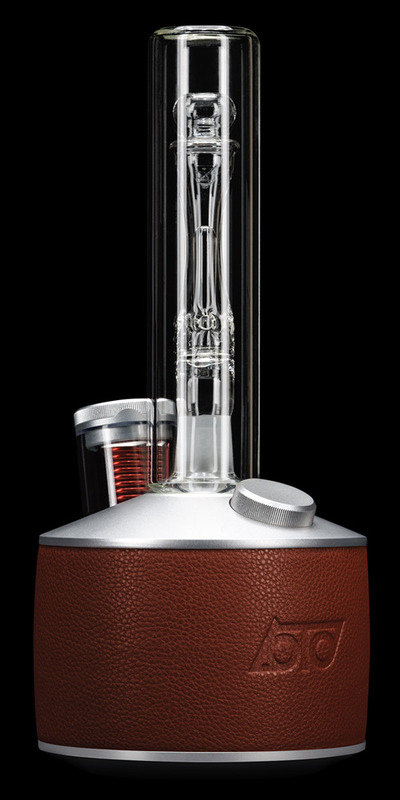 Legend's complete glass air path with water filtration creates only the richest, most delicious vapor. The App unlocks full control of your Legend. You will also be able to update the firmware or software on the Legend as features and versions become available. Quality parts and construction are built to last. Never replace another atomizer. Legend is covered by a limited 2-year manufacturer’s warranty. Legend is 11.5”h x 5.5”w. 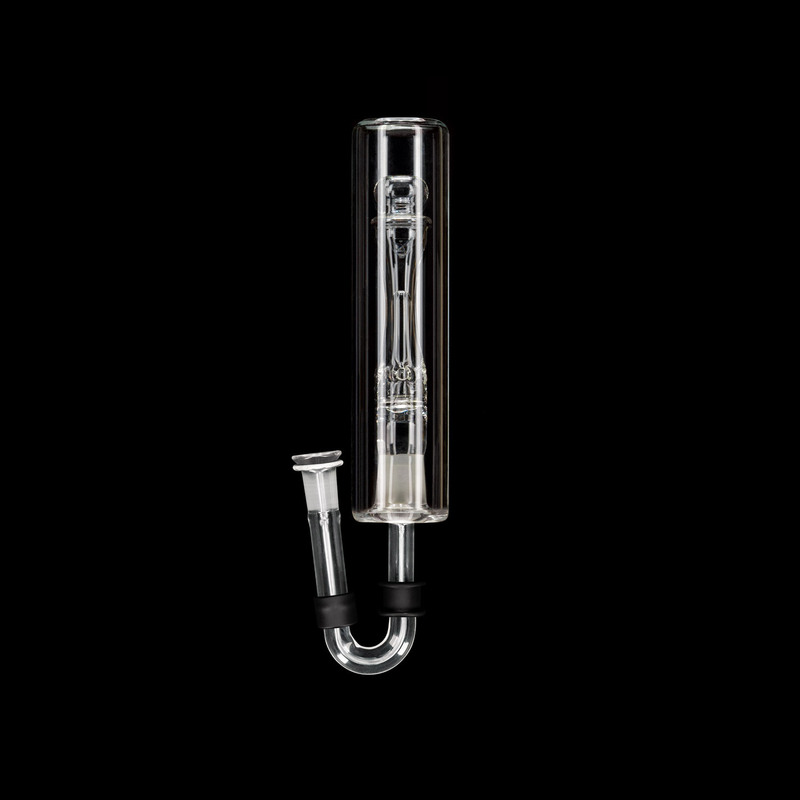 It comes with a glass mouthpiece, a set of glass internals, a ceramic dab tool, two silicone jars, two susceptors, a brush, and a power adapter. Legend is 100% vegan. We use top-quality, easily cleanable, durable micro-fiber, just like that couch you love! Pittsburgh Born Stainless Steel 430. A corrosion and heat resistant steel commonly found in equipment for processing food and dairy. We can't stress enough KNOW YOUR MATERIALS. If you have a Titanium nail and you don't know where that Titanium is from, you likely don't want to know. Legend reaches full power in about 10 seconds. Watch the speed test. Yes, the vape path is all glass. There are silicone grommets that connect the glass pieces together. There are no porous ceramics, solder, or adhesives in vapor path. Take a look at the instruction manual for more information. Loto Legend is covered by a 2-year limited manufacturer's warranty. This covers mechanical parts, but does not cover broken glass or accidental damage. To file a claim, please go here. No. You can adjust all functions (power and brightness) all directly on the device. The App let's you update the firmware on the device for future software upgrades. There are NO ATOMIZERS. With Legend's magnetic induction technology, you'll never replace another atomizer. Legend is built to last. The only thing you'll ever have to replace is the glass and that is ONLY if you drop it, kick it, break it. Don't do that. I’m interested in a payment plan. What is Sezzle exactly? Sezzle is a payment solution that empowers you to “Shop Now and Pay Later” with simple interest-free installment plans. The purchase price is broken down into four smaller payments spread over six weeks. 25% is due at the time of the transaction, with the remaining 75% due across three easy payments scheduled every two weeks. When you complete a purchase with Sezzle, we ship your Legend immediately. You get to enjoy it before you finish paying for it! Sezzle is 0% interest. The only fees you could potentially incur are failed payment fees and late payment fees. For more information see Sezzle FAQ.